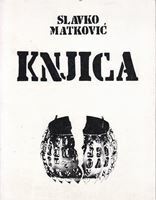 Slavko Matković: Knjiga (The Book) Artist Book Osvit , 1979. Predgovor Balint Szombathy. Tekst na srpskom, mađarskom i engleskom jeziku. 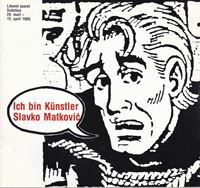 Slavko Matkovic is one of the most prominent Serbian conceptual artists. His work highlights the creative process as opposed to the finished work, and explores such issues as the authorship of a work of art and the relationship between the visual and linguistic spheres, among others. As the most prominent representative of artistic nomadism and in an anticipation of art movements, Matkovic was involved in visual poetry, body art, comics, poetry, painting, performance, film, mail art, etc. 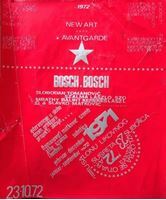 In 1969 in Subotica, Matkovic together with Balint Szombathy established the art group Bosch + Bosch. Within this small community, the group embodied contemporary artistic sensibility. Its art practice fulfilled international artistic aspirations by transcending former aesthetic categories in favor of ethics. The Group founded the magazines "Contractor e972" and "WOW" which published relevant articles in the fields of art and theory. Bálint Szombathy: Citysigns – Visual Semiology 1972-1974 Razglednica / Postcard Upućena Slavku Matkoviću Born 1950 in Pačir, Serbia. 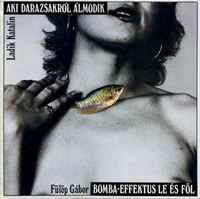 Studied at the Alexander Tsúszó Academy in Russia (1980–1984). 1969-1976 co-founder and member of the Bosch+Bosch group. 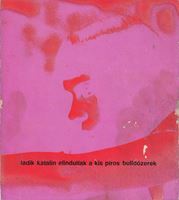 1971–1972 editor of the magazine Új Symposion, Novi Sad. 1974–1985 editor of the daily newspaper Magyar Szó. 1985–1989 editor of the magazine Új Symposion. 1989–1993 editor of the newspaper Családi Kör, Novi Sad. 1993–1999 editor at the Prometej Publishing House, Novi Sad. Since 1999 artistic director of the international video art festival VideoMedeja, Novi Sad. He lives in Budapest. Bálint Szombathy: FLU"X"US, Bohinj 1973.